In order to mark the end of the Year of Mercy on 20th Nov, 2016, during the Solemnity of Christ the King, a rather remarkable event took place in Poland on 19th Nov, when the Polish government, together with the Church hierarchy officially recognized Christ as the King of Poland (see here for more details). The Jubilee act of the reception of Christ as King and Lord was then repeated the following day throughout every parish in Poland on Nov 20th. This initiative, which was undertaken by the Polish bishops conference, seems to have been intended as a largely prophetic gesture linked to the Divine Mercy devotion, and the initial impetus for this symbolic action can be firmly attributed to certain private revelations given to Servant of God Rosalia Zelkova in the early 20th century. "My child, the war shall be horrible and it shall bring about destruction (…). Poland's sins and crime are numerous and grave. God's Justice wishes to punish this nation for the sins of unchastity, homicide and hatred. However, Poland can be saved if I am proclaimed as her King and Lord by means of the enthronement, not only in some of the regions but in the whole country and, most importantly, by the government. The proclamation must be affirmed with rejection of sin and return to God (…). Poland can be saved only by Me." "My child! God shall send a terrible punishment for sins and crime committed by people in the whole world. God's Justice cannot endure those misdeeds. Only those countries shall persevere where Christ will reign. If you want to save the world, the enthronement must be celebrated (…) in all the countries and nations around the globe. It is the only way in which one may be rescued. Countries and nations who do not recognize that need and submit to the reign of the sweet love of Jesus shall disappear from the face of the earth forever. Remember that, my child, they shall perish and shall never exist!!! (…) Remember, child, the matter of such importance must not be overlooked or forgotten. (…) The enthronement must be carried out in Poland." He went on convincingly: 'Every effort must be made in order to carry out the enthronement. That is the final that Jesus' love makes for people at the end of days!' 'I asked him with fear whether Poland would endure. The person answered: "Poland shall not perish unless she recognizes Christ as King in every sense of the word, that is unless she accepts God's Law, the law of His love. Otherwise, my child, she shall not persevere." 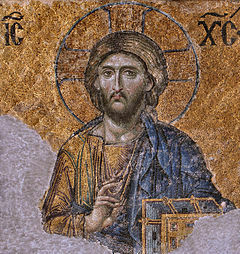 Finally, he said to me: "I say this to you once again, my child, that only those nations shall not perish who will be submitted to Jesus' Heart through the enthronement, who will recognize Him as their King and Lord. A horrible disaster shall come on this world, he said, as you will soon see." 'Suddenly, a terrible bang could be heard. The globe cracked. Enormous fire broke out and disgusting lava flew out as if from a volcano, completely destroying all countries which had not recognized Christ. I saw destroyed Germany and other Western European countries. I turned with terror to the person for help and he said: "Do not fear, child," and he put his hands on my shoulders. I asked him: "Is this the end of the world, and the fire and lava, are these hell?" He replied: "This is not the end of the world or hell, but a horrible war which shall complete the destruction." The Polish borders were left inviolate, Poland persevered. The unknown person also said to me: "Countries under Christ's reign and subjected to the power of His Sacred Heart shall become extremely powerful and there shall be one Fold and one Shepherd." 'Upon these words everything disappeared. On the following day, after the Holy Communion, I asked Lord Jesus about the meaning of that vision. I was instructed: "Child, this is what shall happen if people do not return to God. The moment of enthronement must not be delayed in Poland." You have seen hell where the souls of poor sinners go. To save them, God wishes to establish in the world devotion to my Immaculate Heart. If what I say to you is done, many souls will be saved and there will be peace. The war is going to end: but if people do not cease offending God, a worse one will break out during the Pontificate of Pius XI. When you see a night illumined by an unknown light, know that this is the great sign given you by God that he is about to punish the world for its crimes, by means of war, famine, and persecutions of the Church and of the Holy Father. To prevent this, I shall come to ask for the consecration of Russia to my Immaculate Heart, and the Communion of reparation on the First Saturdays. This act of enthronement finds its historical antecedent in the enthronement of the Blessed Virgin Mary as Queen of Poland on April 1st, 1656. After it had been invaded by Sweden and Russia, Poland had enthroned the Blessed Virgin during an elaborate ceremony conducted by the Polish king John II (Jan) Casimir. This action was made in response to the Polish victory made the previous year during the siege of Jasna Góra Monastery, which housed the Black Madonna of Częstochowa. 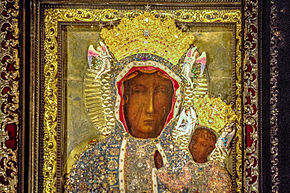 The victory of Jasna Góra, which repelled a Swedish assault upon the monastery in 1655, was directly attributed to the intercession of Our Lady won through the miraculous icon of the Black Madonna of Częstochowa, and marked a key turning point in the war against Sweden. The victory at Jasna Góra prompted John II Casimir to crown the Black Madonna of Częstochowa Queen of Poland, which was made in response to private revelations given to Servant of God Giulio Mancinelli, a Jesuit missionary who was born on the ominous date of Oct 13th 1537. On Aug 14th, 1608 Fr. Mancinelli reportedly experienced a vision of the Virgin Mary whilst living in Naples, who asked him: "Why do you not call me Queen of the Polish? I greatly love this kingdom and I am going to do great things for it, because a peculiar love for me burn within its sons." This was followed by two other apparitions of the Virgin Mary to Fr. Mancinelli in 1610 and 1617, where she also referred to herself as "Queen of the Polish". After the enthronement of the Blessed Virgin as the Queen of Poland in 1656, this nation would go on to play a pivotal role in the defence of Christian Europe against the threat of Islam during the Battle of Vienna, which took place on 12th Sept, 1683. The Ottoman Turks had been laying siege to the imperial city of the Holy Roman empire for two months, and it was verging on the brink of collapse when the Polish King John III Sobieski came to its rescue on the ominous date of Sept 11th, and at 4.00 am on the morning of 12th Sept, the Battle of Vienna began. Before John Sobieski set out to rescue Vienna spearheading the Holy League, he had stopped to pray at the shrine of the Black Madonna of Częstochowa at Jasna Góra, and during a Mass held on the eve of the battle, which was presided over by Blessed Marco d'Aviano, he once again entrusted himself to the patronage of the Blessed Virgin, whose image he carried in a gorget. 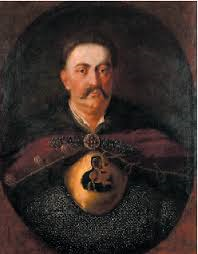 The resounding victory of John Sobieski at the Battle of Vienna was one of the greatest turning points in European history, and not only saw a permanent end to the Islamic expansion into Europe, but also enabled the Holy Roman Emperor to reclaim Hungary, and over the course of the next centuries, the threat of Ottoman Turkey gradually began to wane until its eventual collapse in 1918. Writing to Pope Innocent XI in the aftermath of the battle, Sobieski acknowledged that the victory belonged to God alone, stating "Veni, vidi, Deus vicit" ("I came, I saw, God conquered"). The importance of the victory at the Battle of Vienna is held in direct comparison with that of Lepanto, which saw an end to the naval threat of Ottoman Turkey on 7th October, 1571. And like its naval counterpart, which is commemorated by the Feast of Our Lady of the Rosary on 7th October, the Battle of Vienna was also marked by the institution of a feast day - The Feast of the Most Holy Name of the Blessed Virgin Mary, which is celebrated on 12th Sept. This feast was extended to the universal Church calendar by Pope Innocent XI in 1684 in order to commemorate the Battle of Vienna, and continued to be practiced until the liturgical reforms made in the wake of the Second Vatican Council. The Feast of the Most Holy Name of the Blessed Virgin Mary was struck from the General Roman Calendar by controversial reformer Annibale Bugnini in 1969, but was reinstituted by Pope St. John Paul II in 2002, in the wake of the attacks on the World Trade Center, when the date of this feast day gained renewed significance. We can be almost certain that the Holy Father made this symbolic action in direct response to the events of 9/11, when the West once again faced a great confrontation with the Islamic world. He beatified Marco d'Aviano shortly after in 2003 - the Capuchin friar who was instrumental in organising and energizing the Holy League against the Ottoman Turks during the Battle of Vienna. There is also some evidence which suggests that Sr. Lucia had made a connection between these events in the immediate aftermath of the 2001 terrorist attack, which she appears to have communicated directly to St. John Paul and Cardinal Tarcisco Bertone. In my book Unveiling the Apocalypse: The Final Passover of the Church, I go into some detail to show how Cardinal Bertone's musing that the events of 9/11 may be connected to the appearance of the Signs of Heaven described in the Bible (made upon his return from presiding over the seer's funeral Mass), was in fact rooted in some information conveyed to him by the seer of Fatima herself. Information which was most likely originally communicated to the pope immediately after the destruction of the Twin Towers. At the time, there were rumours circulated by Inside the Vatican that Sr. Lucia had sent a letter to Pope St. John Paul II immediately after the attacks on the World Trade Center. Citing anonymous sources from within the Carmelite order, traditionalist newspaper The Remnant published yet another rumour that Sr. Lucia had received a new apparition of the Virgin Mary on October 7th, 2001 - the Feast of Our Lady of the Rosary - which rather aptly, also reflects the struggle between the Arab and Christian worlds, since this feast commemorates the Battle of Lepanto in 1571, when vastly outnumbered Catholic forces triumphed over the Ottoman fleet. The alleged new revelation was supposedly to ask for prayers to prevent an impending "blood bath", and seems to be partially based on the fact that the Carmel of Coimbra did indeed hold to a 24 hour period of prayer on 7th October, 2001. At least one Carmelite convent had confirmed that it had received a letter from the Association of Our Lady of the Rosary of Fatima, dated to 13th September, 2001 (just two days after 9/11), calling on the Carmelite order to unite with Sr. Lucia in praying for peace in the world on 7th October - the Feast of the Holy Rosary. Given the close association between the Feast of the Holy Rosary with the Feast Day of the Most Holy Name of the Blessed Virgin, which both commemorate great Marian victories, it is interesting to note that the recognition of Christ as the King of Poland by the Church and government authorities on Nov 20th, 2016 was preceded the previous month by yet another lightning strike on the Dome of St. Peter's Basilica on Oct 7th, 2016 - the Feast of the Holy Rosary. It is also worth taking into consideration that one of his last actions before dying on the vigil of Divine Mercy Sunday on 2nd April, 2005, Pope St. John Paul II offered up a new crown to be presented to the Black Madonna of Częstochowa, accompanied by a crown for the Infant Jesus, in a possible allusion to the future enthronement of Christ as King of Poland urged by Rosalia Zelkova. As the Vatican website states: "The crowns of gold of the Virgin and Child were offered and blessed by St. John Paul II on 1 April 2005, shortly before his death." (see here). The reason these crowns were offered to the Madonna and Child on 1st April was in order to mark the anniversary of the enthronement of the Blessed Virgin as Queen of Poland by King John II Casimir on 1st April 1656. The fact that the enthronement of Christ as King of Poland took place at the close of the Year of Mercy on Nov 20th is also significant in the fact that it coincided with the "conception phase" of the so-called "Rev 12" sign that began on this exact date, and culminates 9 and a half months later on Sept 23rd, 2017 (see here for more details). Are these two events related? 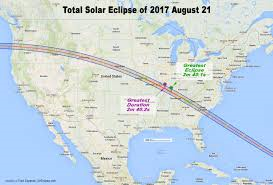 If so, it would tie in with the conclusions drawn on my previous post The Sign of Jonah and the Binding of Satan, which mulled over the possible significance of a solar eclipse that will take place over America on Aug 21st, 2017, the Feast of Our Lady of Knock (which announced the opening of the seals of Revelation), and the exact date that a solar eclipse crossed the site of ancient Nineveh at the beginning of World War One on Aug 21st, 2017. Given these parallels with the "sign of Jonah" mentioned by Christ in the Gospels, I had mused over the possibility of some sort of chastisement that may take place unless an act of repentance is made, and that it may indicate that America is the "new Nineveh" involved in this sign. Could this be a call to repentance? I say this to you once again, my child, that only those nations shall not perish who will be submitted to Jesus' Heart through the enthronement, who will recognize Him as their King and Lord. A horrible disaster shall come on this world, he said, as you will soon see." 'Suddenly, a terrible bang could be heard. The globe cracked. Enormous fire broke out and disgusting lava flew out as if from a volcano, completely destroying all countries which had not recognized Christ. If this volcanic eruption is one and the same as the Cumbre Vieja event - the "great mountain, burning with fire" being thrown into the sea in Rev 8:8, then we can see why America would be singled out for particular need of prayer. However this particular event is not something that we need to worry about happening in the immediate future, since the destruction of "Babylon" takes place just before the rise to power of the Antichrist. And the ministry of the Two Witnesses to restore the Church, proclaim the Gospel to the ends of the earth and bring about the conversion of the Jews must take before the Antichrist ascends to power. So it is certainly much too soon to expect the destruction of the dominant eschatological world power referred to as "Babylon" - which is part of the Great Chastisement itself, and should be equated with the cataclysm seen in Sr. Lucia's 1944 Tuy apparition. Given that the process of the restoration of the Church by the Two Witnesses is yet to unfold, this particular chastisement must still lie many years in the future. Due to the fact that the prophecies of Rosalia Zelkova are so closely associated with the events of the Battle of Vienna, it would appear that this chastisement is also in some way connected to a confrontation with the Islamic world. It seems that the events of this conditional chastisement, described by Bl. Jacinta as the "most terrible chastisement ever known", were already fulfilled in the Second World War. Is this conditional chastisement one and the same as the minor chastisement? It is difficult to know for sure, and there are some particular components of the prophecies of the minor chastisement which do not fully align with the events of World War II. As Cardinal Ratzinger pointed out in his theological commentary in The Message of Fatima, the future is not unchangeably set, and it would appear that there are still a number of ways in which these prophecies can unfold, depending on how humanity reacts as a whole to God's call for repentance. "Father, the Most Holy Virgin did not tell me that we are in the last times of the world, but She made me understand this for three reasons." "The first reason is because She told me that the devil is in the mood for engaging in a decisive battle against the Virgin. And a decisive battle is the final battle where one side will be victorious and the other side will suffer defeat. Also, from now on we must choose sides. Either we are for God or we are for the devil. There is no other possibility." "The second reason is because She said to my cousins as well as to myself, that God is giving two last remedies to the world. These are the Holy Rosary and devotion to the Immaculate Heart of Mary. These are the last two remedies which signify that there will be no others." "The third reason is because in the plans of Divine Providence, God always, before He is about to chastise the world, exhausts all other remedies. Now, when He sees that the world pays no attention whatsoever, then as we say in our imperfect manner of speaking, He offers us with certain fear the last means of salvation, His Most Holy Mother. It is with certain fear because if you despise and repulse this ultimate means, we will not have any more forgiveness from Heaven, because we will have committed a sin which the Gospel calls the sin against the Holy Ghost." The serpent poured water like a river out of his mouth after the woman, to sweep her away with a flood. But the earth came to the help of the woman, and the earth opened its mouth and swallowed the river that the dragon had poured from his mouth. Then the dragon became furious with the woman and went off to make war on the rest of her offspring, on those who keep the commandments of God and hold to the testimony of Jesus. And he stood on the sand of the sea. If the appearance of the remarkable astronomical configuration that began on Nov 20th, 2016 is in some way connected to the prophecies of Servant of God Rosalia Zelkova (on which date one of the most important of these requests was fulfilled), then it would seem that these private revelations are also linked to the culmination of this sign, which concludes on 23rd Sept, 2017 - just days before the centenary of the Miracle of the Sun on Oct 13th, 2017. It seems that the only way that we can know for sure in advance if the world is faced by the threat of a major chastisement next year (as many Catholics currently believe), is if it announced beforehand by the appearance of a Marian apparition on a scale comparable to those of Our Lady of Fatima. With the Iraqi army currently undertaking an operation to take back the city of Mosul from ISIS, it is somewhat timely to discuss the importance of the Sign of Jonah in relation to Christ's discourse on the binding of Satan in the Gospels. The city of Mosul is situated on the site of ancient Nineveh - the location which is the central focus of the story of the Prophet Jonah, who was told by God to travel to the capital of Assyria to announce its impending destruction. 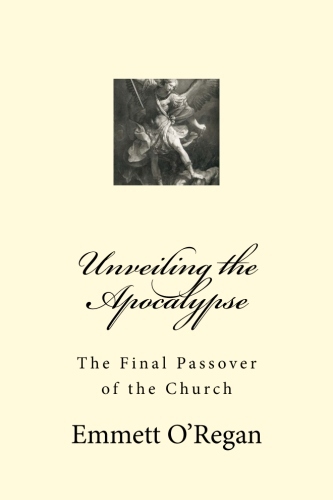 As I detail in the new edition of my book, Unveiling the Apocalypse: The Final Passover of the Church, some theologians have forwarded the hypothesis that the reason the inhabitants of Nineveh were so receptive to Jonah's message of doom was because a solar eclipse had taken place over the city at around the same time the prophet had arrived to announce its fate. 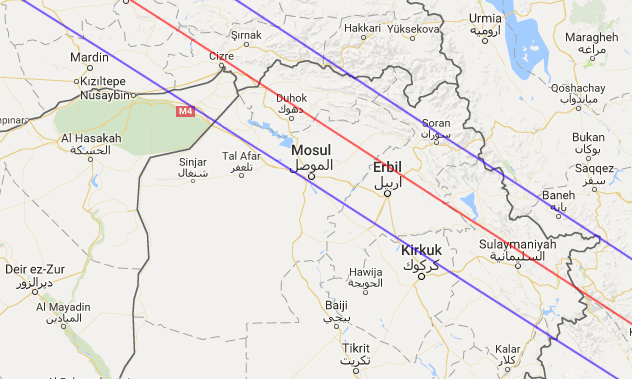 The path of totality of the Bur-Sagale Eclipse, which is one of the most famous solar eclipses in ancient history, occurred just north of Nineveh on 15th June, 763BC during the reign of King Ashur-Dan III of Assyria, and was recorded for posterity in the Assyrian Eponym Canon - a series of cuneiform tablets discovered in the 19th century. 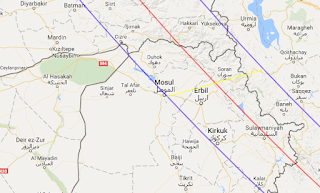 It therefore seems quite possible that when the Prophet Jonah had arrived in the midst of these calamities announcing the imminent destruction of Nineveh, the inhabitants were only too eager to listen - especially if his entrance into the city had been timed to coincide with the appearance of a total solar eclipse. 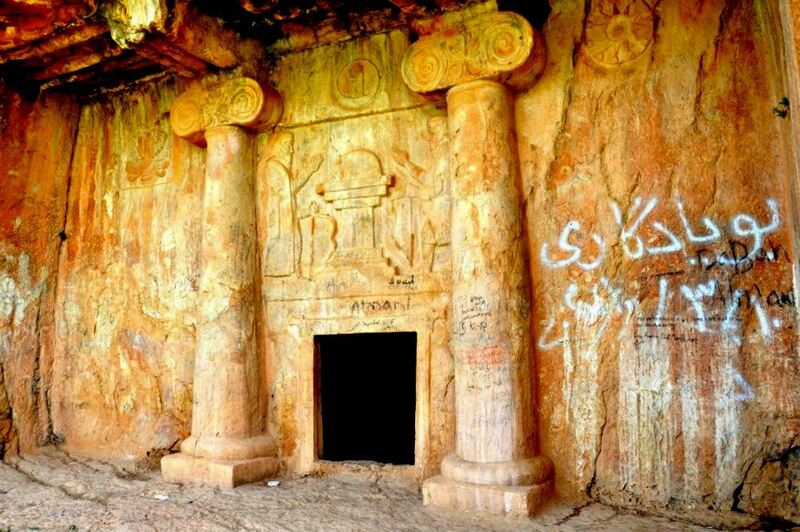 As I attempt to show in the book, the appearance of the Prophet Jonah in Nineveh may have been recorded in an ancient inscription found in a cave in Kizkapan (or "Qyzqapan") near the city of Sulaimaniya in Iraq, around 200 miles away from Mosul/Nineveh itself. 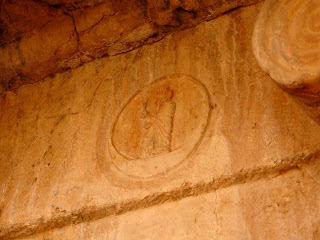 The engraving in Kizkapan cave shows two figures laying down their weapons making gestures of peace, which takes place underneath the figure of a man depicted within the symbol of the sun undergoing an eclipse. The Russian archaeologist Igor Diakonov has proposed that this inscription records the total eclipse predicted by Thales of Miletus in 585BC, which according to Herodotus, had interrupted a battle between the Medes and Lydians at the Halys River in Asia Minor, which immediately led to the declaration of a truce between the warring factions. As such, Diakonov has suggested that Kizkapan Cave is actually the tomb of the Median emperor Cyaxares, who ruled during the Battle of Halys. However, Diakonov bases this idea largely upon the fact that the Eclipse of Thales is one of the only known instances of a solar eclipse eliciting such a dramatic reaction from its observers. But when we take the events behind the story of Jonah into consideration, we are presented with an alternative explanation for the origin of this relief, since it largely comprised of a similar set of circumstances. And when we study this inscription in closer detail, we can see that it is clearly based on a much older design that had originally incorporated imagery connected to the Mesopotamian mythological figure Oannes, who has been closely associated with the Prophet Jonah himself. Once we compare the centre-piece of Kizkapan Cave with a well known scene of even greater antiquity found in Mesopotamian culture, we can be certain that the primary inspiration of this engraving is based upon the legendary figure of Oannes/Adapa. Although it has a unique style of its own, introducing a few idiosyncratic motifs that can only be found here, the inscription at Kizkapan Cave is virtually identical to a much older scene found elsewhere in Mesopotamian culture which predominately features the figure of Oannes/Adapa. 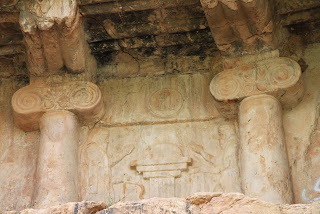 As we can see from the pictures above, the posture of the two figures above is exactly the same as that found on the older relief depicting Oannes/Adapa, and is similarly situated directly below a figure within a sun-disc. The only major differences are that the figures shown at Kizkapan are not attired with the fish-garb usually associated with Oannes and the seven Apkallu, or Mesopotamian sages, and instead of holding a basket, they are apparently in the act of placing down their bows with their attention diverted to paying homage to the gods instead. Also the sun-disc at Kizkapan is quite clearly shown to be in eclipse, with the corona visible underneath the figure holding a scroll-like object. 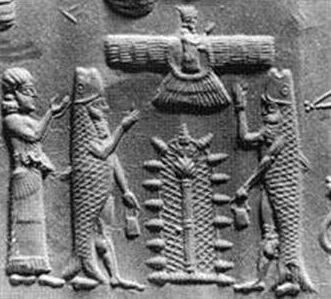 However the various myths concerning the figure of Adapa predate the ministry of Jonah by several centuries, and can be traced as far back as the 14th century BC. Although the connection between the events behind the story of Jonah and the figure of Oannes would not have went unnoticed by the Assyrians themselves, and it is quite probable that the ancient Ninevites would have associated the appearance of the prophet emerging from the fish with the myth of Adapa. It is even possible that the later name "Oannes" used for Adapa is itself derived from Jonah, because of this close association. Given the fact that the engraving found in Kizkapan Cave is based upon earlier imagery associated with Adapa/Oannes, it makes it more likely that this relief depicts events which took place during the Bur-Sagale Eclipse of 763BC, rather than the Eclipse of Thales. As such, the two figures laying down weapons may represent a cessation in hostilities during the revolts that were unfolding in Nineveh, which were recorded as taking place around this time by the Assyrian Eponym Canon. Actions which were prompted by the appearance of the eclipse itself, and a prophet who emerged out of a fish to announce the destruction of Nineveh. 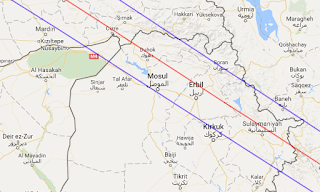 It is surely beyond coincidence in this regard that the start of the First World War was marked by a total solar eclipse which directly traversed the site of ancient Nineveh in Mosul, Iraq on 21st August, 1914. The World War I Eclipse crossed over the battlefields of war-torn eastern Europe before making its way down towards Nineveh - an event which took place on the feast day of Our Lady of Knock, a Marian apparition which appears to have announced the imminence of the opening of the seven seals by the Lamb of Revelation. In order to further heighten the significance of this event, the 1999 solar eclipse had occurred on the exact day that a rare "Grand Cross Alignment" took place, when the planets of the solar system were arranged to take the form a cross - the ultimate sign of the defeat of Satan. This ties into the recent observation made by researcher Miguel Antonio Fiol, that the planets had arranged to take the form of a crucifixion scene on the most likely date of the death of Jesus - 3rd April, 33AD. 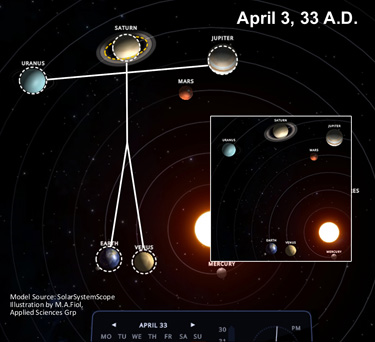 In an illustration (hi-res version) released today to the public, the planets Saturn, Uranus, Jupiter, Earth and Venus align on an orrery model to form what looks like Jesus on the cross with the head, the hands spread out and the legs together in accurate positioning, rotation and on a galactic scale. Indeed, even Saturn's rings can be viewed as representing the "halo" or "crown of thorns." 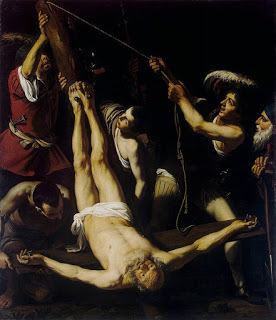 Moreover, and perhaps most noteworthy, is the date of the alignment, the day commonly viewed as that of Jesus' actual crucifixion, April 3, 33 A.D. (See here for more). When he opened the fifth seal, I saw under the altar the souls of those who had been slain for the word of God and for the witness they had borne. They cried out with a loud voice, “O Sovereign Lord, holy and true, how long before you will judge and avenge our blood on those who dwell on the earth?” Then they were each given a white robe and told to rest a little longer, until the number of their fellow servants and their brothers should be complete, who were to be killed as they themselves had been. When he opened the sixth seal, I looked, and behold, there was a great earthquake, and the sun became black as sackcloth, the full moon became like blood, and the stars of the sky fell to the earth as the fig tree sheds its winter fruit when shaken by a gale. The fact that the epicentre of this earthquake was concentrated upon the very base of operations of the Great Persecution helps us to further establish that the 1999 solar eclipse was part of the signs in Heaven described in the Apocalypse. It is interesting to note that there was a repeat of a the "Grand Cross Alignment" that occurred on 11th August, 1999 just a few days later between 17th-18th August, when the planets once again assembled in the form of a cross in a slightly different form at the very moment this earthquake occurred within the confines of ancient Nicomedia. Yet again, it is surely beyond coincidence that the "sign of Jonah" (in the form of a total solar eclipse occurring over the site of Nineveh) had appeared not only at the very dawn of period of Satan's greater power foreseen by Pope Leo XIII, at the beginning of the First World War, but also just before the Great Jubilee Year of the Incarnation at the start of the third millennium AD. A date which is closely associated with the promises of the Protoevangelium, when the head of the ancient serpent is trampled under the feet of the Woman Clothed with the Sun. Just before the conclusion of this astronomical event on 23rd Sept, 2017, another remarkable total solar eclipse will take place. And just like the solar eclipse which occurred at the start of World War One (at the beginning of the period of the unbinding of Satan), this event will also transpire on Aug 21st, 2017 - the Feast of Our Lady of Knock. While it is difficult to know for sure if this event has any real prophetic significance, the fact that it will take place at the end of the period of Satan's greater power foretold in the prophecy of Pope Leo XIII, and that it so close to the Rev 12 sign that occurs on 23rd Sept, 2017, prompts us to ponder whether this solar eclipse is part of the "sign of Jonah" sequence that began on Aug 21st, 1914. 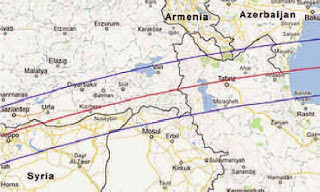 Only instead of appearing over the location of ancient Nineveh, this solar eclipse is concentrated entirely upon America, and the path of totality can only be seen across the central United States. Then another angel came out of the temple in heaven, and he too had a sharp sickle. And another angel came out from the altar, the angel who has authority over the fire, and he called with a loud voice to the one who had the sharp sickle, “Put in your sickle and gather the clusters from the vine of the earth, for its grapes are ripe.” So the angel swung his sickle across the earth and gathered the grape harvest of the earth and threw it into the great winepress of the wrath of God. Could this portend the threat of some sort of chastisement that America will have to suffer next year, unless it is brought to repentance? It is difficult to know for sure, since without any "revealed" knowledge this purely involves speculation. 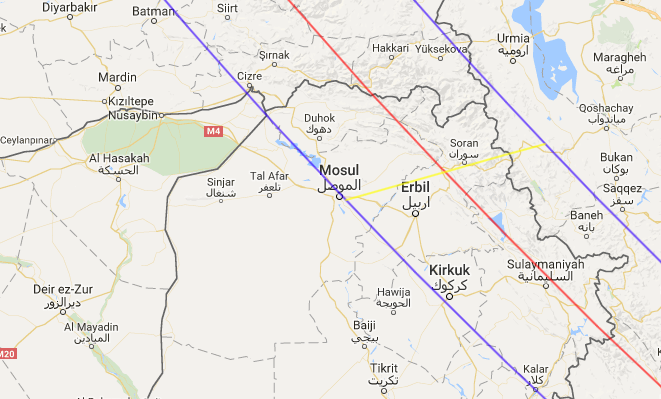 But the coincidences surrounding the sign of Jonah and the significance of the year 2017 are certainly stacking up, especially since the site of ancient Nineveh in Mosul is faced with such dire circumstances in the immediate approach of the ominous date of Nov 20th, 2016. This seems to be yet another facet to a puzzle which is gradually falling into place in the run-up to the centenary of the apparitions of Our Lady of Fatima. So the birth of the male child and the Woman being given the "two wings of the great eagle" in order to flee to a sanctuary provided for her in the desert are synchronous events, both involving the restoration of the Church before the final persecution of the Antichrist. Marianna Bartold has recently posted an excellent article on her blog Keeping it Catholic, which has some rather striking parallels with some of the conclusions I forward in the new edition of Unveiling the Apocalypse: concerning how the martyrdom of Sts. Peter and Paul under the Emperor Nero foreshadows that of the Two Witnesses under the Antichrist. “And we have the more firm prophetical word: whereunto you do well to attend, as to a light that shineth in a dark place, until the day dawn, and the day star arise in your hearts.” —2 Peter 1:19. October 13, 2017 is the 100th anniversary of the startling Miracle of the Sun (the “day star” of Holy Scripture) in Fatima, Portugal. October 13 also appears to be the true date of St. Peter’s martyrdom in Rome, occurring on the 10th anniversary of the tyrant Nero’s ascent to the imperial throne—Nero, one of the most infamous, historical figure-types of anti-Christ, “the son of perdition.” Since there are no coincidences in God’s designs, did this discovery reveal anything more about the Miracle or the still-hidden Third Secret Message of Fatima? (Read the rest here). the description of the lake of fire in the Book of Revelation, the first part of the Secret of Fatima deliberately recalls the fate of those who worship the image of the Beast in Rev 13, who are thrown into the sea of fire, and serves to act as a warning against participating in idolatry. fiery furnace.” Therefore, as soon as all the peoples heard the sound of the horn, pipe, lyre, trigon, harp, bagpipe, and every kind of music, all the peoples, nations, and languages fell down and worshiped the golden image that King Nebuchadnezzar had set up. bind Shadrach, Meshach, and Abednego, and to cast them into the burning fiery furnace. bound into the burning fiery furnace. indeed concern chapter 13 of the Book of Revelation. This portion of the Apocalypse was singled out by Sr. Lucia to be of particular importance to the interpretation of the visions seen by the shepherd children. There is a scholarly consensus that the passage concerning the image of the Beast in the Apocalypse is primarily based on the erection of a golden statue of Nebuchadnezzar described in Dan 3. Just as those who refuse to pay homage to the image of the Beast are killed in Rev 13:15, we are told in Dan 3 that those who refused to worship the golden image of Nebuchadnezzar were to be executed by being thrown into a blazing furnace. To further reinforce the link with Rev 13, the dimensions of Nebuchadnezzar's statue is 60 cubits by 6 cubits, which prefigures the number that is assigned to the Beast itself - 666. The story of Shadrach, Meshach and Abednego is further elaborated upon in the Deuterocanonical work The Prayer of Azariah and the Song of the Three Holy Children - which helps to elucidate its striking parallels with the First Secret of Fatima. The Deuterocanonical material of the Book of Daniel concerning the story of Bel and the Dragon is also reflected in narrative concerning the image of the Beast in the Apocalypse. Both of these narratives share the overarching theme of a pagan idol which is seemingly brought to life. While the False Prophet "breathes life" into the image of the Beast so that it has the ability to talk and identify those who refuse to worship it, singling them out for persecution, the prophets of Bel attempt to deceive the inhabitants of Babylon into believing that the idol of Bel was really alive through the use of religious charlatanry. fairly widespread by the time St. John wrote the Apocalypse. symbolized by the image of the Beast is some form of contemporary computer. an apparition of the Blessed Virgin to Sr. Lucia in 1944. So it is quite probable that the composition of the first two parts of the Secret were similarly prompted by a private revelation. of Israel after the persecution of Daniel's people by the "Little Horn". In the Book of Daniel, the "saints of the Most High" (i.e. the Jews) only have the Holy Land restored to them after they persecuted by the Little Horn, in a model which closely follows the persecution of the Jews by Antiochus IV before the Maccabean revolt. that it has the capabilities of mass surveillance of the public - something much akin to how the worldwide web is already being exploited by the world's governments. the true metaphysical nature of this technology. the way to the Tree of Life.